ibis Pune on Nagar Road is a 7 min drive from Pune airport. Weikfield IT Park, Panchshil Techpark, GigaSpace and Marvel Edge are located at a walkable distance of 7 min. Phoenix Market City & Inorbit Mall is a 5 min walk. Symbiosis College is 2 km away from the hotel. Osho Ashram in Koregoan Park & Pune Camp are at 5 km. CommerZone, Eon IT Park, World trade center & Golf Course are at 6 km. Pune Railway station, Jehangir Hospital & Ruby Hall hospital are 7 km away from the hotel. There is no lack of things to do in the Indian state of Maharashtra. Make sure to spend some time exploring the grand Aga Khan Palace, built in 1892, and a memorial to Mahatma Gandhi whose ashes are preserved in the garden. Close to the hotel is the highly acclaimed Osho Ashram, several eateries and places to hang out at Koregaon Park.For those who love shopping, the Phoenix Market City and Inorbit Mall would not disappoint. 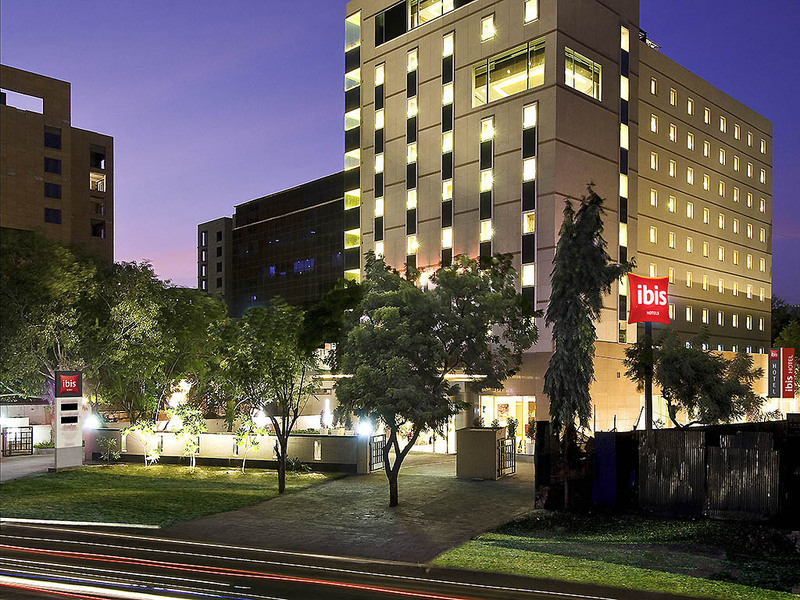 Ibis Pune is a short trip to neighbouring highlights such as Lavasa, Mahabaleshwar, and Lonavala. The hotel is ideal for travellers who are visiting Pune for its many educational institutes or planning on going for a spiritual trip. 7 min drive from Pune Airport & walkable distance from Phoenix Market City. Close proximity to Weikfield IT Park, Eon IT Park, WTC & Magarpatta city. 3 meeting rooms catering for up to 200 delegates. Your sleep is our priority in our 160 modern, soundproof rooms with big fluffy pillows, super-soft duvet and high-tech mattresses that align with the density points of your body. The new Sweet Bed by ibis is difficult to leave! Apart from the basic amenities provided, the experience of interacting with your staff was really nice. The food was also very good, right from the crispy dosas to the soft and crunchy garlic bread. I loved the interior of the room and services included. It was really delightful to find a welcome dish waiting at the table. Although the room was too compact. Also, I prefer to have windows in my room for a bit of fresh air but I couldn't open the one in mine. The room service was very professional and polite. Also, I believe guests should be allowed in individual rooms on understanding certain decorum restraints after the visiting hours as that adds to a travelers convenience when staying with you for just a night. I loved the breakfast buffet as it had a huge range of delicacies which unfortunately I had little time for. It was without a doubt the best breakfast buffet I have ever had in my life and I have at least 50 hotels across India to compare that with. Overall I loved the experience of staying with Ibis. I would recommend this and also prefer Ibis over other hospitality partners. Enjoyed the hospitality. The new menu at Spice it is delicious. The presentation is also planned well. Ashutosh is always making sure everything is well done. The Trainees are doing well. Keep up the good work. Thank you! Really felt very well during my stay in IBIS, Pune. Nice clean ambiance, friendly staff and good breakfast menu. I always recommend Hotel IBIS to stay in Pune. This hotel is fully following the international standards. It wasn't great. Not worth the money spent. Breakfast was bad. Rooms are very compact and it was not expected. Even the restrooms could've been a little more spacious. Not worth for the money which was spent. The experience could have been better than what is has been. Kindly improve on the food quality and the varieties being served. Also, the fare for the room could be less if the room size is so small. Might not recommend anyone else if this is your actual standards which you maintain. Staying in ibis has awesome experience.having lot of facilities. It was wonderful related to services of front desk, stay & inside ambience. But more can be done on menu plan of morning complementary breakfast. Short trip on Pune tourists places as a part of package, but on paid basis. Only entrance and reassurance has good, but the room size,, bathroom size and furniture are very disappointed . Normally I have stay at Royal Orchid central in Pune, but room was not available at that time. So I have to stay near by Viman Nagar.. I will not stay again.. Friendly and very welcoming by every member in the hotel. It was a pleasant and quiet relaxing stay. I had thoroughly enjoyed the concept of ibis. Horrible breakfast and overall restaurant food is not good. Bed linen was not very clean. Rooms are cramped. Only good thing was, staffs were courteous.